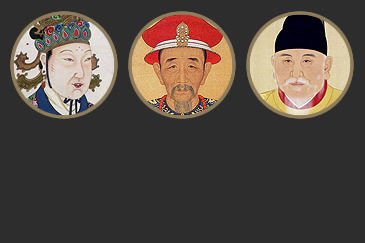 Michael Wood tells the dramatic tale of China's last empire, the Qing. 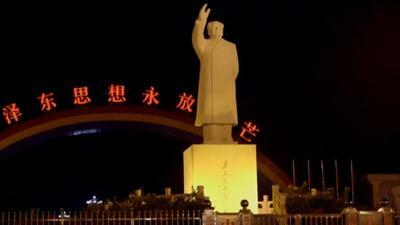 The great Taiping Rebellion, the fall of the Empire and the rise of Mao. 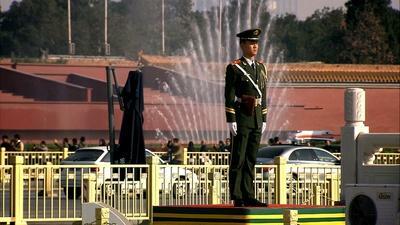 Travelling from the Silk Road to the Yellow Sea, Michael Wood explores the history of the world’s newest superpower. A thrilling and moving epic of the world’s oldest continuous state with the landscapes, peoples, and stories that made today’s China. Searching for the roots of today’s China, Michael Wood joins a family reunion on ‘Tomb Sweeping Day’; sees the first Chinese writing and the first city; meets the bloodthirsty First Emperor and travels with a million pilgrims to a country festival. 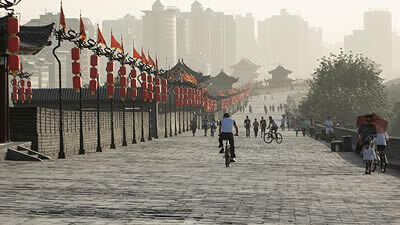 Exploring China’s first international age under the Tang Dynasty, Michael Wood travels Silk Road deserts; sails the Grand Canal; describes the coming of Christianity in the streets of old Xi’an -and goes back to school in a dusty Chinese town! 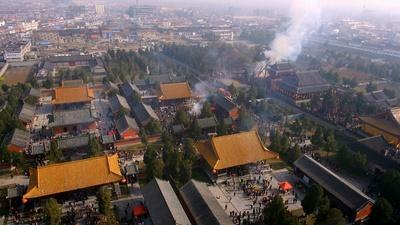 Learn about China’s Renaissance under the Song Dynasty. 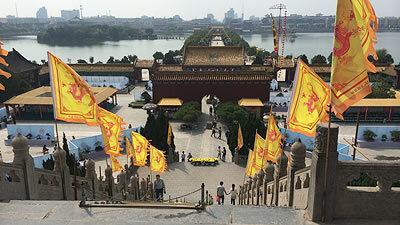 In Kaifeng, Michael Wood hears the story of the boys who became emperors; tries a 1,000-year-old recipe; works a giant astronomical clock; and dances with the locals by Hangzhou’s West Lake. 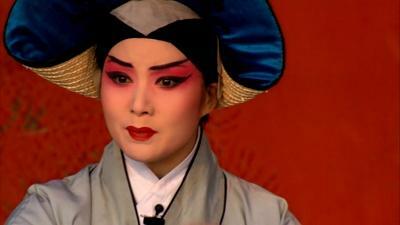 Hear the story of China’s most famous dynasty. 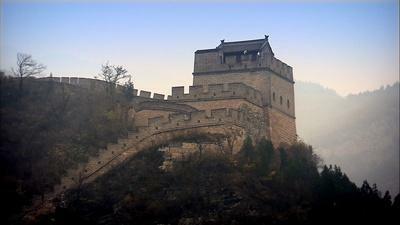 Michael Wood visits the Great Wall and the Forbidden City; sails the South China Sea on a junk; visits a fabulous Chinese garden; and travels to Macao with the first Jesuit missionary to China. 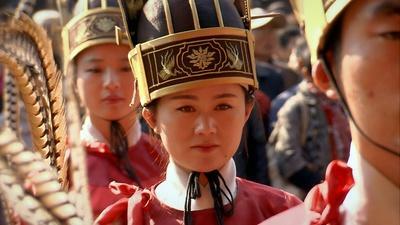 Discover the splendors of China’s last empire, the Qing. From China’s favorite novel to story-telling houses and all-female mosques, it’s an age full of surprises. Then came the fateful clash with the British in the First Opium War. 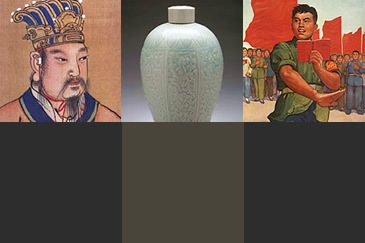 Survey the three great revolutions that gave birth to today’s China. Wood visits wild mountain villages; describes the fall of the empire; visits Jazz Age Shanghai; and stays in the last communist commune—before a celebration on Chinese New Year. 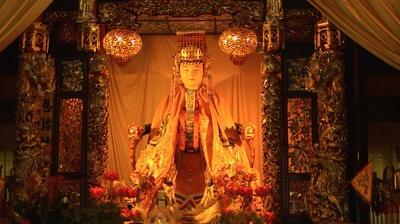 Michael Wood joins a million pilgrims at a temple festival in the Chinese countryside to celebrate the myth of the mother-goddess Nüwa and her brother Fuxi, which has been handed down from prehistory. The people tell how the ancestors of the Chinese people Nüwa and Fuxi created humanity- by mixing their own blood with the yellow mud of the Yellow River! At the town of Wuxi in the lower Yangtze valley, Michael Wood joins the Qin family as they celebrate the annual festival for the ancestors, a ritual that goes back thousands of years. Banned under the communists such rituals are coming back everywhere in today’s China, as once more the family regains its central place in Chinese culture. 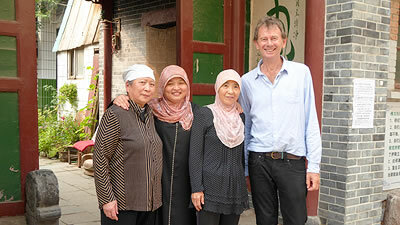 Michael Wood visits the tomb of Confucius in Qufu. There he meets a visiting group of Korean scholars who perform rituals at the grave and tell us why Confucius is still one of the most important figures in the history of civilization. Then a party of school children say goodbye to Michael with a famous line from Confucius’ book of sayings, one of the best selling books in history. Michael Wood tells how China’s greatest archaeological discovery started with a packet of over the counter medicine in a traditional Chinese drug store! In 1899, a Chinese scholar called Wang fell ill with malaria but he got more than he bargained for with his prescription! 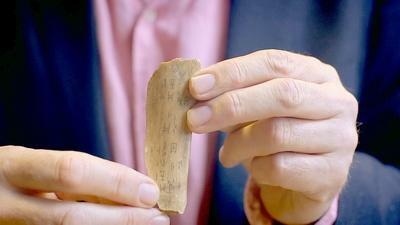 On the ‘dragon bones’, which he had to grind up and drink for his fever, he recognised the earliest Chinese writing! A group of enthusiastic high school kids give Michael a guided tour around their school grounds where incredibly they show him the grave of China's greatest poet, Du Fu. 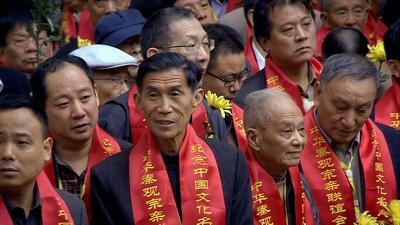 The Chinese have loved Du Fu since he died in 770 - they call him their Shakespeare. Then, in the classroom, the kids take Michael through one of one of Du's most famous poems - and even manage to teach him a line or two! Michael takes a stroll through the fabulous markets of Kashgar in Chinese Central Asia, still today full of different people, religions, cultures and cuisines. 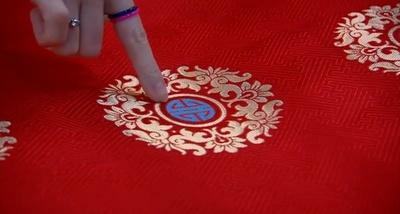 More than 1300 years ago, during China’s brilliant Tang dynasty, this was a crossroads of the world: "East and West first start to get to know each other then," Michael says: "You might say it's the beginning of universal history." Think Chinese take out is a modern idea? 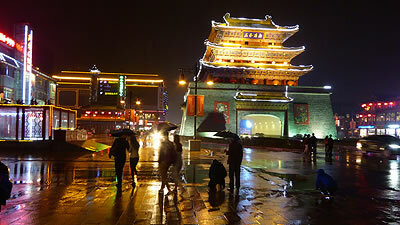 A thousand years ago in Kaifeng, the world's biggest city, China produced the world's first great cuisine with fancy diners and fast food joints. In a restaurant in today’s Kaifeng, Michael orders lunch from a 1000 year old cookbook, and the chef brings a special dish for Michael and the team to try: Oranges stuffed with mushrooms and lotus seeds. Did the Chinese Invent Soccer? The rules of the "World's Game," modern soccer, were fixed in England in the 1860's; but 1000 years ago in Song dynasty China, there were soccer clubs, rules, fans and even music and fast food at half-time! 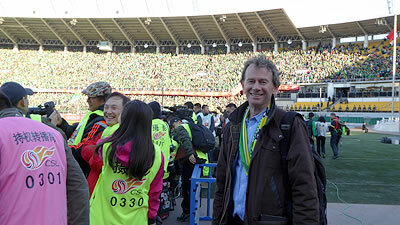 In Beijing, Michael gets up close for a crunch match in today's Chinese Premier League and compares the modern game to Song dynasty "Kickball." 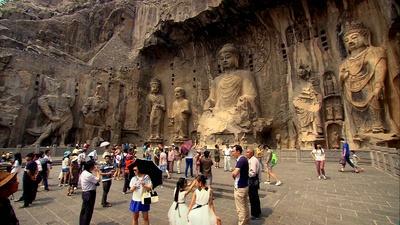 A thousand years ago, China was a world leader in science and civilization. Michael Wood explores a 45 ft-high working replica of an astronomical clock made by China's Leonardo da Vinci -- Su Song. It's a water clock driven by an endless chain drive, with small painted wooden figures marking the time – all steered with a ship's wheel! 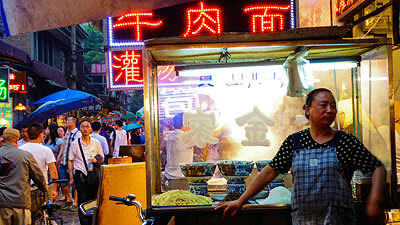 Michael Wood visits Suzhou, "the Venice of China." 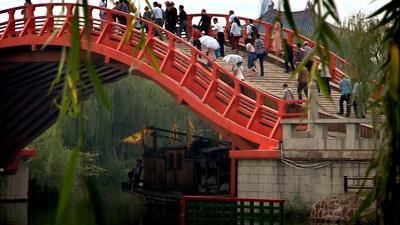 Five hundred years ago during the Ming dynasty Suzhou was the symbol of China’s "Embarrassment of Riches." Staying in the house of a Ming merchant family, Michael explores China's new world of private wealth and fashion, when porcelain, lacquer making and silk weaving reached new heights to meet consumer demand. We all know about Columbus, but what about the great Chinese ocean voyages that took place before his time? 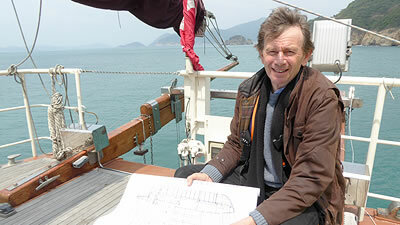 Michael Wood tells the story of the Chinese Admiral Zheng He and his voyages to the west. He asks too, why were they stopped? "Some say it would be like stopping moon exploration after Apollo 8," says Michael. "But the Chinese had a different view." 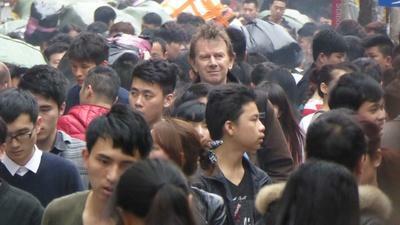 Michael Wood arrives in the old Portuguese colony of Macao, the Europeans' first foothold in China. The Italian Jesuit missionary Matteo Ricci came here 1582, with the aim of converting the emperor and his people to Christianity. In today's cathedral in Beijing, Michael hears why Ricci is still so important to the 70 million Chinese Christians today. Harvard University's Dr. Lik Hang Tsui tells the tale of the third emperor of the Ming dynasty, the ruthless Yongle who kills his nephew to take power. In a purge of his enemies, a loyal minister speaks out and receives the cruelest punishment: Death by ten degrees. 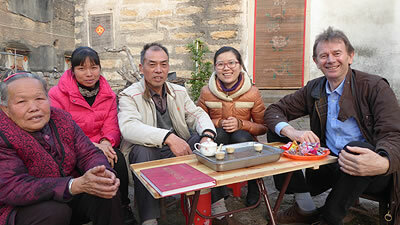 Michael joins a traditional acting troupe on their bus to a tiny village near Yangzhou. 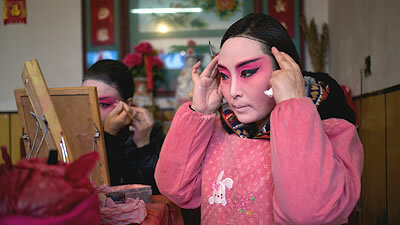 They are going there to perform a traditional drama for a local woman's 90th birthday - in the icy outdoors! We watch the actors and musicians prepare the set, put on their makeup, and get into costume as the whole village turns out despite the freezing cold and snow –with Granny in the front row! 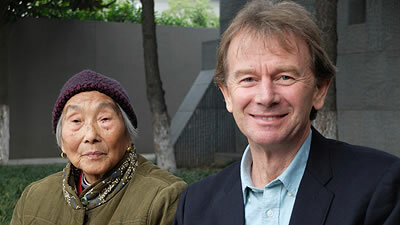 Michael Wood talks to Prof. Zheng Yangwen about the crippling social effects on China of the opium trade run by the British. "Where is your conscience?" the emperor asked Queen Victoria. In the late 1830's, the Chinese decided to do something about it and ordered the destruction of all the opium held in British workhouses. 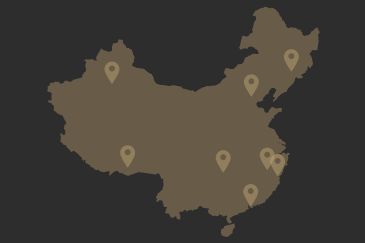 There would be tragic consequences for China in the First Opium War. 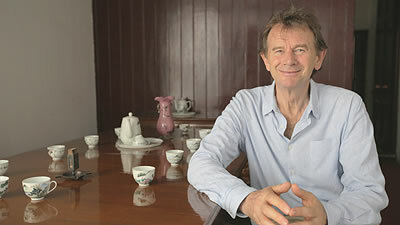 Michael Wood visits the room in Shanghai where the first meeting of the Chinese Communist Party took place in 1921. 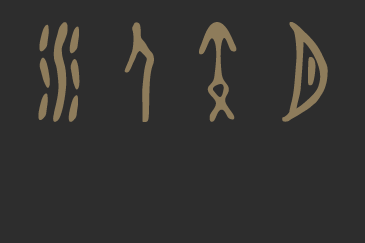 Among the twelve delegates (from only fifty-seven members!) 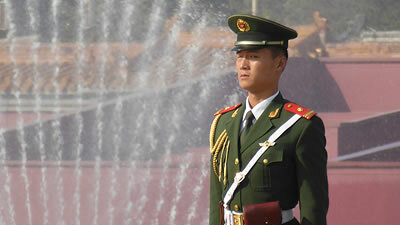 was the young Mao Zedong, the future Chairman Mao. Meanwhile, outside in Shanghai. the Jazz Age was in full swing. 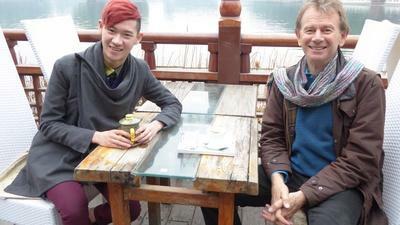 Michael takes tea in the fabulous Peninsula Hotel, one of the centers of Westernization in 1920's China. The age of communism is over now in today's free market China, even though the Communist Party still runs the country as a one party state. Now there's just one place which is still communist in a sea of capitalism. Michael visits this strange throwback in rural Henan, where they still sing, "The East is Red" before work, and where pictures of Mao, Stalin, and Lenin still adorn the town square! "Why Can't Women Be Heroes too?" 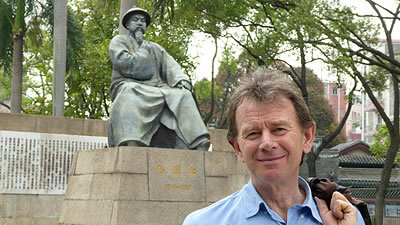 Michael Wood visits the monument to Qiu Jin in Shaoxing. This feminist poet and political activist founded a radical journal for women's voices and campaigned for the overthrow of the Qing Dynasty and the founding of a republic. 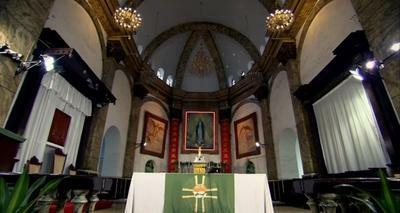 She was executed in the middle of her home town. Local women in the street enthusiastically and movingly explain to Michael why she is still a hero today. 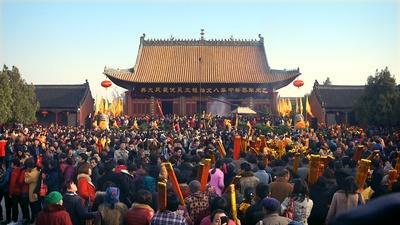 Our Chinese crew have been fantastic but manipulating a 20ft crane into this temple was a challenge. As we’d come to expect, they managed it with skill and a smile. Any filmmaker will tell you that crews run on coffee. 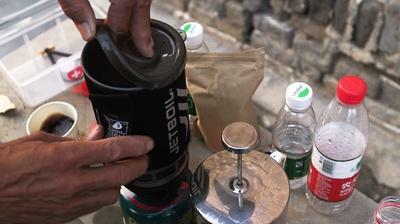 Sometimes it’s hard to find, so ingenious methods have to be employed to maintain blood caffeine levels!